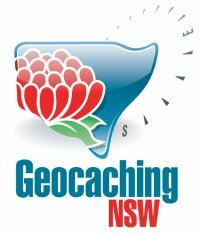 Geocaching NSW: Thank you to those who attended. An organised gathering to discuss unsolved puzzles over coffee or brunch. Come along for a social morning tea and possibly leave with some solved coordinates. The event has been inspired by Noikmeister's 'Puzzles and Coffee' series of events, which began in September 2010. No input will be taken on a puzzle from a geocacher who has solved that particular puzzle. This is not to degenerate into a puzzle give-away session. No discussions about solutions on any online forums. Keep an eye out in the Geocaching NSW forums to see what puzzles make it on the agenda. The event will start at 10:00 am and will be held at Citi Grill in the piazza area of the Top Ryde Shopping Centre – look for the Geocaching NSW banner. We plan to wind it up for the lunch service at noon. There will be a short introduction at the start to get things rolling, after which people can form into groups and start solving. If you're a beginner don't worry, there will be someone to help and guide you along. For anyone who has completed all the puzzles in the area, I will bring my netbook and GPS units to answer any non-puzzle questions or problems you’d like answered. Finally, we have permission from café to use their tables, but they ask they you note in your will attend log whether you plan to have breakfast/brunch, so they can plan staffing numbers. NSW Archived Caches No 5.